The Kiwanis of Little Havana presents Carnaval on the Mile. Please visit my booth No. 65 at the Artists' Village on Miracle Mile in Coral Gables, Florida on the SW corner of Ponce de Leon and Miracle Mile, nearest the Starbucks. There you will find a great selection of originals and limited edition giclees on canvas from my Afro-Cuban/Caribbean series. Saturday, March 5 - 10 a.m. to 12 Midnight and Sunday, March 6 - 10 a.m. to 8 p.m. 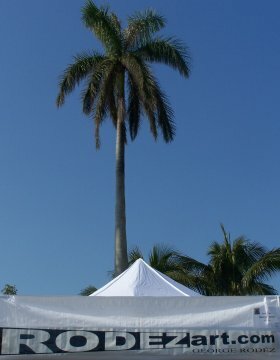 The 48th Annual Coconut Grove Arts Festival. Open daily from 9 a.m. to 6 p.m. Visit my booth, No. 326 on South Bayshore Drive exactly halfway between Mary Street and 27th Avenue. For details, please click here.